The best time to remember dreams is when you awaken spontaneously, not by an alarm clock, radio, or outside noise. When you wake naturally, it is always at the end of an REM (dream period). Also, the last dream of the night is the longest and most vivid, thus giving you more to hold on to when you wake up. 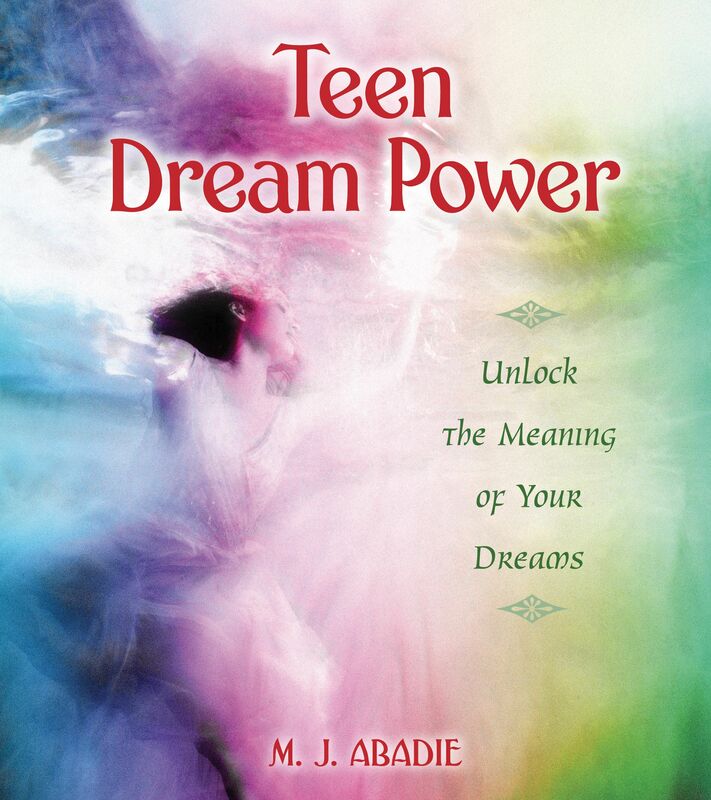 Even if you have told yourself before going to sleep that you will remember your dreams, thinking I won't foiget my dreams tonight, often in the press of the morning's routine-usually rushed for teens and their families-a fog may cloud your memories of the night's dream-ing. You may retain the general "flavor" or color" of the dream but lose the rest. This is why it's a good idea to concentrate on dream recall during the times when you can wake up naturally and when the atmosphere isn't pressured or hurried-you know you have to get up, dress, gather your things, get to school or sports practice and if those activities are uppermost in your mind your dreams may fade away. Still, you can practice dream recall on school nights as well as on weekends, holidays and vacations, which give you more leisure to lie in bed and remember your dreams. Even if you must use an alarm clock, you can set it a few minute early and press the "snooze" but-ton for a bit of quiet time to catch those sometimes elusive dreams before they vanish from memory. While being sick isn't fun, it's also a good time to practice dream recall because you are usually alone in bed for hours at a time. I find that clients who begin the process of remembering their dreams become so fascinated and rewarded that they find ways to wake up naturally amid busy lives. One of these ways is to set your "internal alarm clock," which isn't hard to learn to do. With a hit of practice, you can program yourself to wake up without the alarm so that you are not catapulted out of a sound, dream-ing sleep by the raucous noise of a mechanical device. It's easier on your nervous system too! Once you have waked naturally, lie still with your eyes closed and review your dreams. If at first you don't remember anything, con-tinue to relax quietly until you recover either a feeling about a dream or get some images. Usually there is a story, and sometimes the plot will follow as you think about the images and what they mean to you. Jot down whatever you remember, no matter how fragmentary. You will get better and better at this in time. And, fragments collected over time can function like pieces of a jigsaw puzzle to form a complete picture. Also practice remembering during the day by going over your notes. Often, the whole dream is still lying there just below con-sciousness and can be brought to mind. From time immemorial, people have used dreams in ways that benefited their waking lives. The more you learn to interact with your dream world, the more you integrate your total personality. Truly, this is a realm of magic and mystery, but one well worth exploring.Those who go fearlessly into the caverns of the night can return with untold treasure-and, intrepid explorers all, discover new territory in the vast, as-yet-unexplored continent of the human mind. If you suffer from insomnia, in addition to hops and chamomile, you can use catnip, Lady's Slipper, Skullcap, and Valerian Root (Note: Valerian should not be combined with any prescription medicine used for sleep or as an antidepres-sant.). Steep a teaspoon of any of these herbs--or any combination--in a cup of hot water for ten minutes. A bit of honey can be added for sweetening as some herbs are bitter. 1. Be as relaxed as possible before you get into bed to go to sleep. Don't have any input-such as TV or loud music-prior to going to bed. 2. Once in bed, let your mind drift-don't pore over the events of the day or go over what you did wrong or any negative experi-ences you had, and don't get into planning or anticipating tomor-row. Try to turn off your thinking machine. You'll get better and better at this with practice. If you have trouble letting go of your thoughts, try the Mind-Calming Visualization given below. 4. Most dreaming occurs in the early morning hours and dreams that we have just before waking are the easiest to remember. So, if you waken during the night, or an hour or so before you usu-ally get up, relax yourself and make the suggestion. Try setting your internal clock, as discussed above, so that you don't need the alarm. If you have to depend on an alarm, set it as low as possible; or, if you use a clock radio, choose a station with soft, easy music and keep the volume as low as possible so you are awakened gently.